What can compare to the thrill and ease of stepping out your door onto freshly groomed slopes? Or to the pleasure of returning to your tastefully appointed room to relax before your next activity – whether that be curling up with a good book in front of a crackling fire, challenging your spouse to a rousing game of racquetball, enjoying a delicious meal at the Black Diamond Grille and Lounge or treating yourself to a Hot Stone Massage at our Viaggio Spa and Health Club. 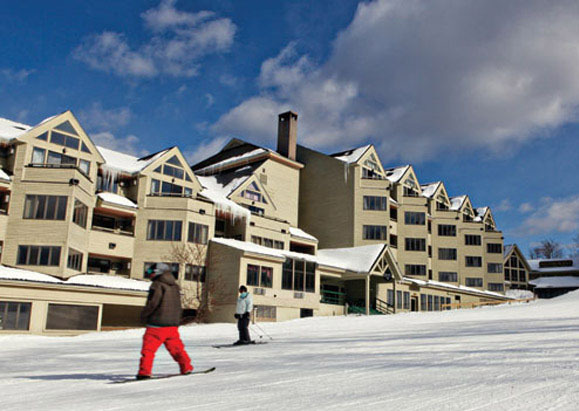 Only The Mountain Club offers Loon Mountain ski in ski out access to one of SKI MAGAZINE's Top 20 Eastern Ski Resorts, along with convenient covered garage parking. You'll find stunning natural beauty no matter what time of year you visit and a wide array of local activities. 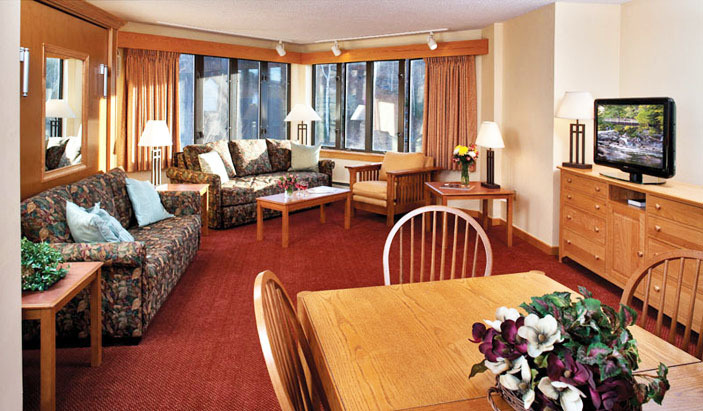 If you're looking for New Hampshire rentals for skiing at Loon Ski Area – escape to our top floor unit with outstanding views over the mountain! 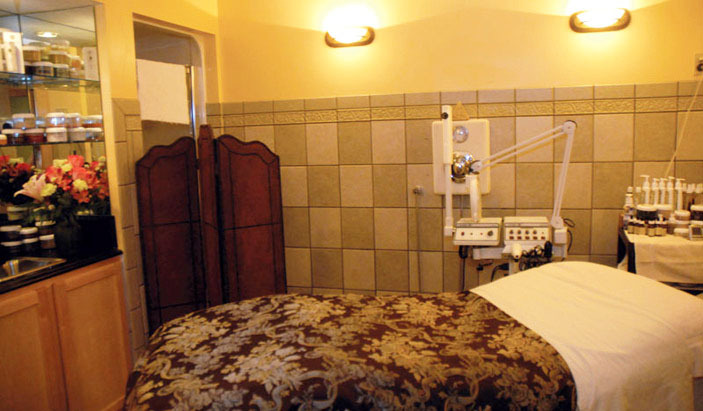 Master bedroom with jacuzzi, studio with kitchen and queen bed, Black Diamond Grille, pool, and spa on-site. 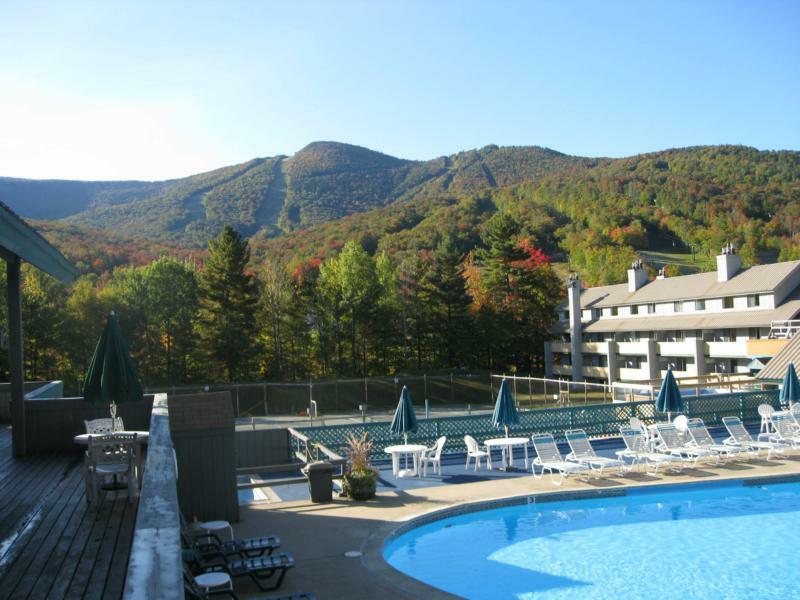 No matter what season you visit The Mountain Club on Loon, you will find plenty to do and see in the beautiful Lincoln-Woodstock and White Mountains area. 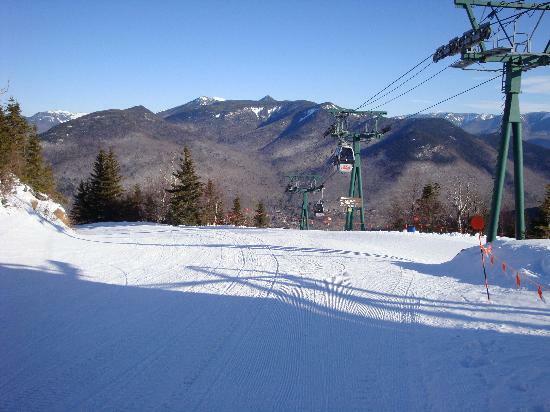 Enjoy skiing, snowboarding and tubing just outside your door on the diverse terrain of Loon Mountain, the largest ski resort in New Hampshire. Go kayaking or hiking – or experience a thrilling Tree Top Zip-Line Adventure (available year-round). Take a mountain bike tour through the beautiful Franconia Notch. Enjoy a show at the charming Papermill Theatre or a day of shopping in North Conway, famous for its hundreds of outlet stores. 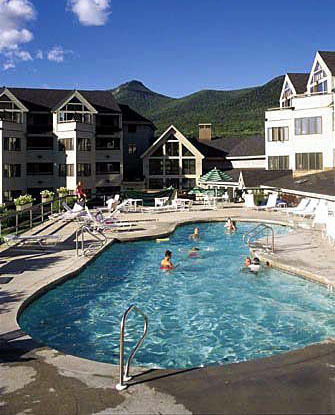 Mountain Clulb on Loon Has it All! If youre a skier, this ski in ski out / slopeside establishment is my favorite destination just 2 1/2 hours away. Fine dining and a great pub apres ski with a health club spa unsurpassed. Fabulous and worth the dough!